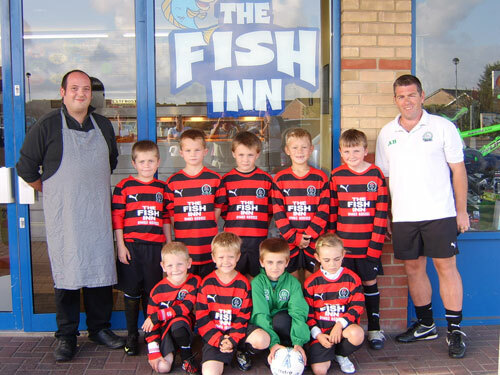 Andy, Rob and the team would like thank the fish inn, bradwell for kindly sponsoring our new away kit. The fish Inn supply their customers with superb quality food at great prices. Give them a try you will not be disappointed. This team has been going for over 2 years, with players coming and going. But this year is very exciting, as the new members of the team have added more quality to an already great team. The squad consists of Cameron (Capt.) 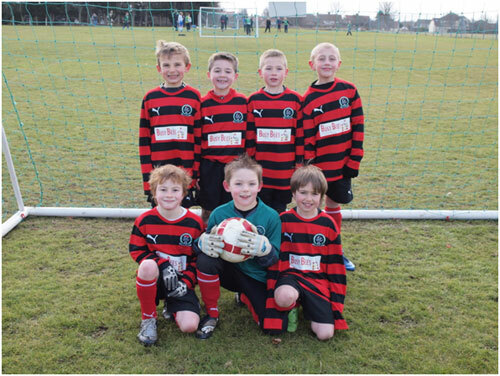 kier, Ben, Ethan, James, Regan, Abi, Brandon, and Tommy. 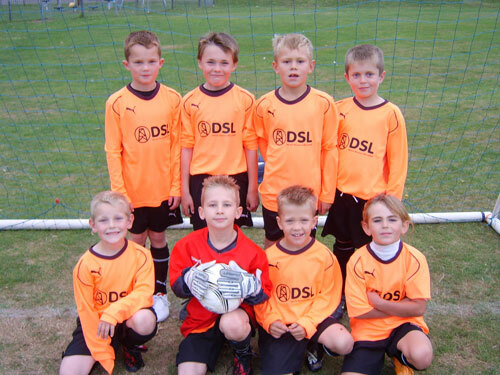 All in all they have done fantastically well in a short space of time, with a mix of structured training and having fun. Training sessions are a must, to develop individual skills and provide enjoyment along the way. To be honest I think the grown-ups have more fun sometimes. 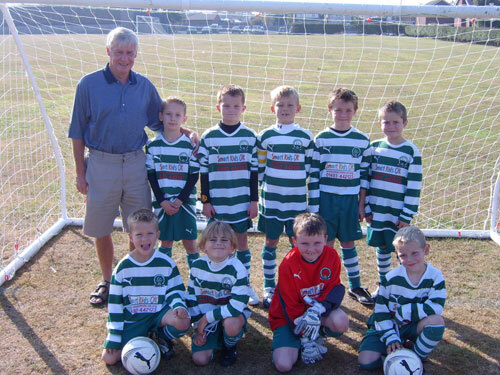 We would like to thank a kind grandparent of one of our team members who has generously donated some funds for our team to purchase training tops, ruck sacks, additional training equipment, and our man of the match trophy. We have been very lucky over the course of the season to have had some great sponsors, who have provided us with kit for our matches and for training. A big thank you therefore goes out to all the sponsors below for their generosity. 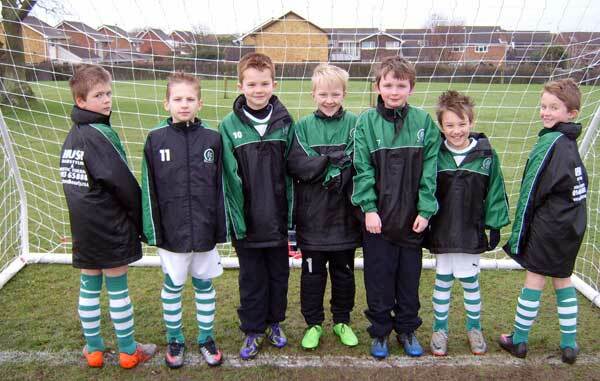 Match Jackets:- First Flooring Ltd.
Gorleston Rangers Under 8 B team have been established for approximately 2 years now, with the majority of the current squad having played together since 2008. 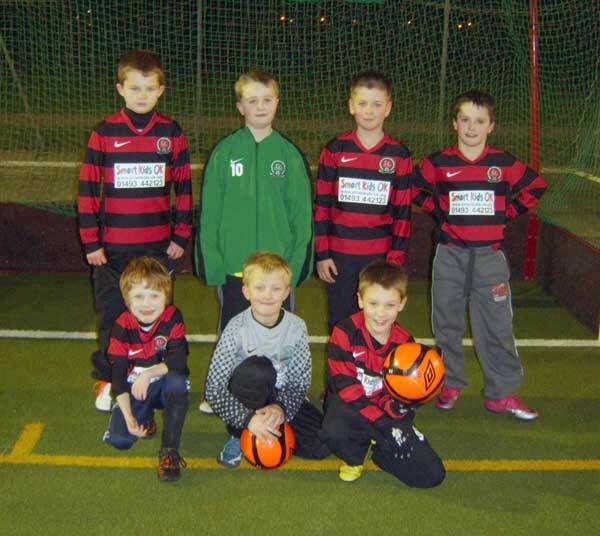 After a great first season together, the boys have continued to push on and play some great passing football, which entertains our fantastic supporters every week. The team training sessions take place every Saturday, where we work hard on developing general fitness, skills and technique, team work, and most of all ensuring that their football is enjoyed. There is always a great spirit within the group, and the team seems to improve with every session. 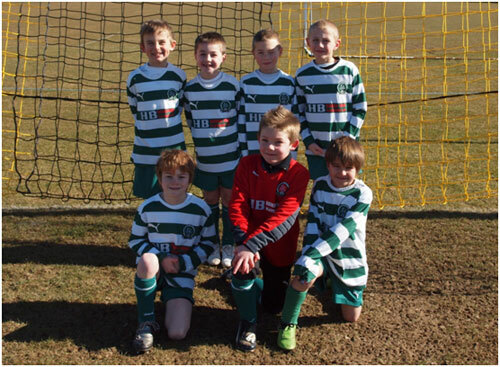 We are looking forward to the challenge of next season, and to slowly introduce the team to competitive football. A final thank you goes to all of our dedicated parents, who give so much of their time to ensuring their boys never miss any games or training sessions whatever the weather! 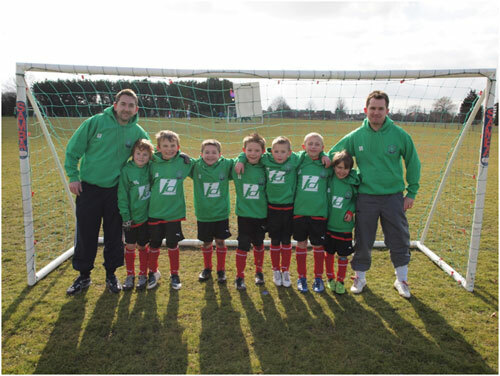 Since Rob took over the team in April 2010 after recruiting extra players they have worked hard in training which has become very structured as well as fun sessions with the help off his coach Matt, Adam and other parents helping out each training session, being CRB checked and having level one coaching badge they have taught the boys very well in the art of defending your lead as well as attacking football also the way the game should be played within the rules. Since the start of the season the team has not looked back, playing some fast passing attacking football with superb defending and excellent goalkeeping. All the team know their positions and know how important this is during the game hence their excellent start to the season and managing too reach two semi finals in the open cup as well as the shield and doing so well in the league. 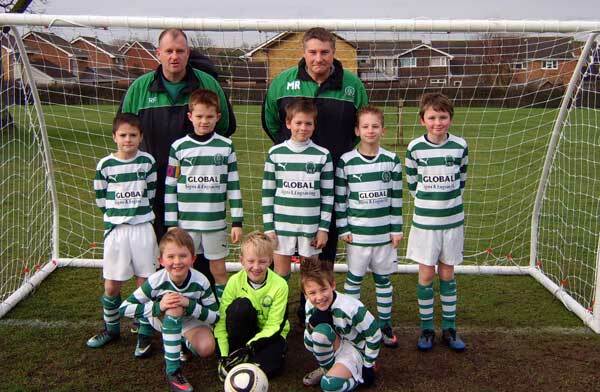 A extra big thankyou to our parents who none of this would be possible without your help bringing the boys to the games and training and you are all superb helping out when you can.After gathering alot of sponsors throught the summer/autumn the team are now fully kitted out until the end of the season. 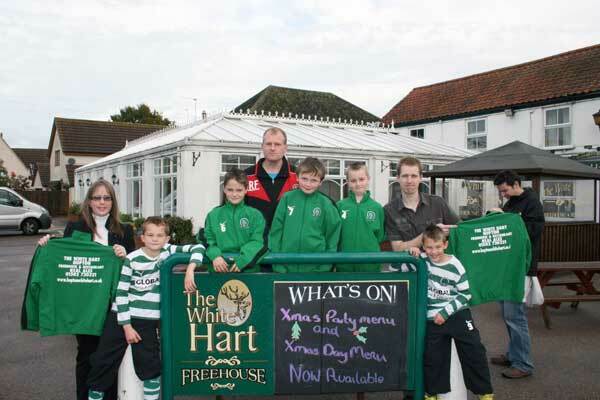 A big thankyou to our teams sponsors this season who have helpfully kitted the team out.